OMG! 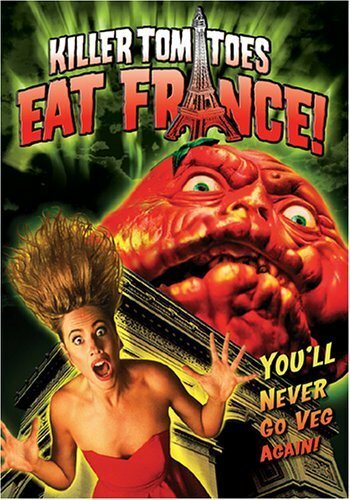 Killer Tomato Eats France!!! Look what I found promoting this movie! Way FUN!! This entry was posted in general and tagged killer tomato eats France. 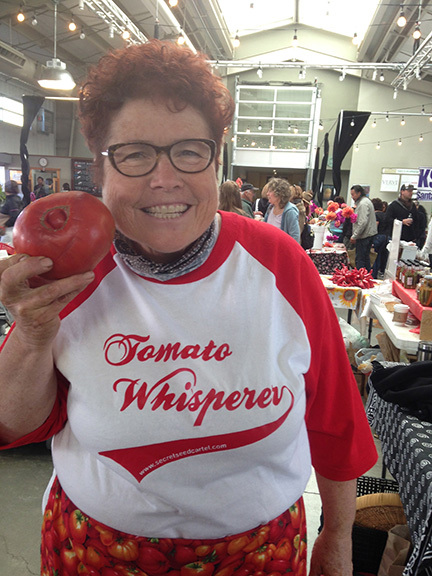 Well I see by your website you are selling tomatoes again and I congratulate you. I planted toamtoes both inside and out this year. The tomatoes planted in the greenhouse were planted as early as possible, are taller than I am, and yet I have no ripened fruit. Outside, the tomatoe plants are healthy but much smaller, and we are seeing green fruit at this time of year, not mature. Everybody in this area seems to have the same problem, especially experienced gardeners. Aside from planting as early as possible, using walls-of-water etc. what more can I do? 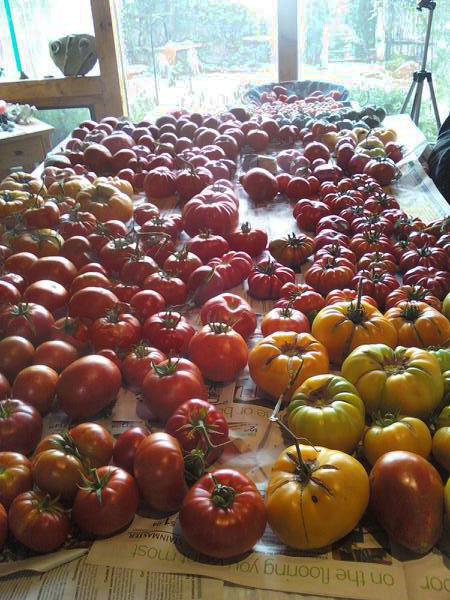 Wow what a year for tomatoes! Did you lose any plants to the curly top virus? What happened is daytime temperatures over 90°F are the main reason for blossom drop and once the temperatures drop they resume setting blossoms. Most of July was hot and over 90°. So the blossoms that would normally set in July didn’t and the green tomatoes we see now come from when the temperatures got cooler in August. I also have a lot of green tomatoes. So we are a month behind right now. I’m gonna post a blog on this because everybody is experiencing this right now. Let’s hope September doesn’t suddenly get cold so we can get the ones on the vines right now!